The Smartgro Tube Heaters are an easy and energy efficient way of giving your grow room extra heating. Temperature stresses can affect plant growth, especially when temperatures start to drop. These tube heaters allow you to maintain a consistent environment at all times. Being compact, the design makes these tube heaters perfect for slotting in a grow room without taking up too much space. They are also supplied with brackets to allow for easy wall mounting. With IP55 compliancy, they are splash resistant and safe to use in various environments – including indoor grow tents and buildings such as greenhouses, sheds and garages. These tube heaters are safe to leave on constantly, but do not have thermostatic controls so temperature levels need to be monitored regularly. 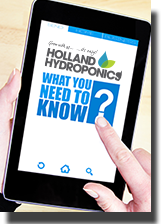 You can also use the tube heaters alongside a thermostat or timer to further fine tune your grow room temperatures. Each heater is supplied with a UK plug and 1m power cable. Plug in the unit in a sensible area, away from all liquids and ensuring that the heater is not in contact with any external materials.